Celebrating as one community the beginning of the program year as well as our dedicated lay ministers, we’ll offer just one service this weekend, on the 17th Sunday after Pentecost (Sept. 20) at 10 a.m.: Our “Welcome Home And Thank You”service of Holy Eucharist, followed by a family BBQ complete with games for the the kids. We’ll use the sermon time to call the honor roll of the ministries of worship, teaching, fellowship, and service that make St. John’s so special. All are welcome. Please join us. We’ll miss you if you don’t! Again, this weekend we won’t offer a Saturday afternoon service nor an 8 a.m. service on Sunday. In this Sunday’s reading from Mark’s gospel, we’ll hear our LORD teach that, to be first in the kingdom of God, each of his disciples must be “last of all and servant of all.” Individuals do exactly that when they roll up their sleeves in acts of service to God’s whole creation. 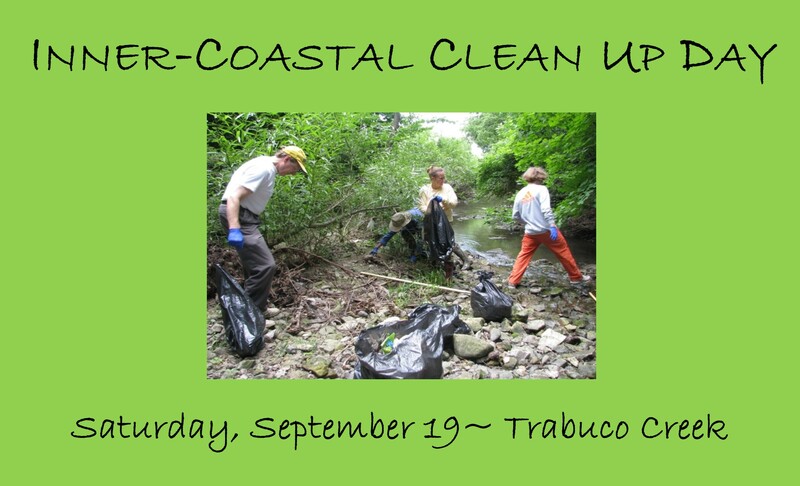 Tomorrow (Saturday, Sept. 19), please join your St. John’s friends during the annual Inner-Coastal and Watershed Clean Up Day. 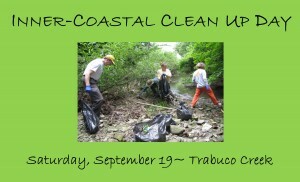 We’ll meet at Trabuco Creek and Trabuco Canyon Rds. at 9 a.m. Wear a hat, close-toed shoes, sunscreen, and gloves, and be sure to bring plenty of water. Trash bags will be provided. 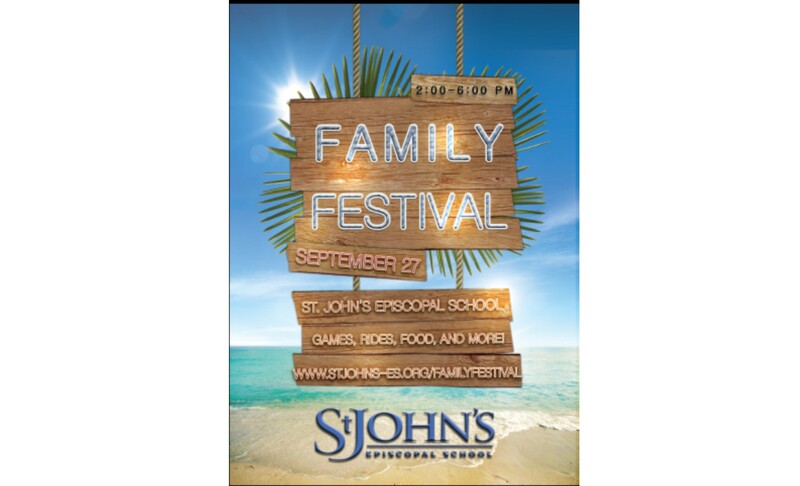 If Sunday’s Welcome Home celebration whets your appetite, come back next Sunday, Sept. 27 from 2-6 p.m. for the St. John’s School Fall Festival, an afternoon of fellowship, entertainment, rides and games (from the Human Wrecking Ball to old-fashioned carnival challenges), and prizes, all in support of our largest ministry. The energy and excitement on campus during the week this year is unmistakable. Come be part of it next week. P.S. : Remembering the celebration of Steve Henzel’s life tomorrow at 11 a.m. at St. John’s (at which all are welcome), please keep his wife, Joan, our former Church secretary, and their daughter, Stephanie, in your prayers. Earlier in the morning, Mo. Martha and I will be at Park Terrace participating with its residents in a service of remembrance for our Ruth Breunig, beloved mother of our Lynn Skeith. Information will be forthcoming about Ruth’s service at St. John’s. P.P.S. 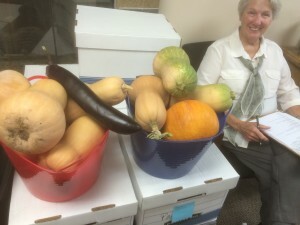 : See that fresh produce with Altar Guild directress Shirlee Koons? It (and more) was harvested this week from the St. John’s Seeds of Hope garden and distributed to the 112 families we served at Thursday’s Rancho Santa Margarita food bank. Thanks to all the St. John’s members who donated food and their time. See you there on Oct. 15. P.P.P.S. : St. John’s Church members are warmly invited to shop at the St. John’s School book fair beginning this Monday, Sept. 21 (10 a.m.-4 p.m.) in the narthex and continuing Tuesday (7:45-4), Wednesday (7:45-6), Thursday (7:45-4), and Friday (7:45-noon). 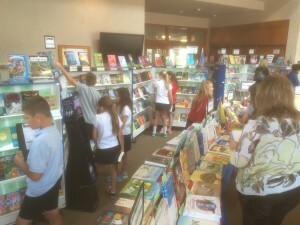 You’ll find books for toddlers, teens, and grownups, from bestsellers to cookbooks. We can also use volunteers. If you have time to help, please write Catherine Sjostedt at csjostedt@stjohns-es.org.